A performer interacting with audience at last year's festival in Fremantle. Source: Street Arts Festival. The Fremantle street arts festival may be the place for you this Easter weekend if you’re looking to avoid chocolate and bunnies altogether. The Freo festival is Australia’s biggest street arts festival with performers from right across the world turning Freo’s streets into their own personal stage. This free event will attract over 100,000 patrons over the weekend so be ready to battle the crowds and will showcase many talented buskers, street performers, comedians, circus and cabaret. On your way, pop into our East Freo store and ask Peter to help you fill a picnic basket with some yummy drinks to share as you watch plenty of arranged entertainment going on in Esplanade park. Swimming with whale sharks at Easter, Ningaloo Reef, Exmouth WA. Source: Ningaloo Whale Sharks. A classic for a reason. Don’t underestimate what you can achieve in four days. Get yourself organised early for the epic 12 hour drive up to Exmouth so you can swim with the whale sharks this Easter (Yes, it’s the right time of year). But if that’s a little too ambitious, why don’t you just aim for Kalbarri instead. You can check out Shark Bay and pat some dolphins at Monkey Mia, plus, its only half the distance or about a 6 hour drive. For those that need to be back early or if you're just a little bit lazy, Cervantes is a great option that’s closer to Perth. This is the gateway to our state’s beautiful Coral Coast and you can stop for a swim at Ledge Point, a bit of sand boarding at Lancelin and some epic mars landscape style selfies at The Pinnacles on the way up the majestic Indian Ocean Drive. Stop off in Geraldton or Greenhead to grab the booze for the trip at one of our stores. All that sand boarding is thirsty work and this will be the last time you see a Liquor Barons for another 1,337kms north until you reach Port Hedland! Get your groove on in Northbridge as the Priscilla Gardner Quartet take over the Lake and James street corner piazza for some seductive jazz. Afterwards, be sure to put on your dancing shoes for Nueva Salsa Orchestra and their blend of Cuban, mambo, salsa and cha-cha. Sun, 4-7pm, Northbridge Piazza. A view looking West down Cape Naturaliste from Yallingup Beach. Durr, This is what Easter weekends were made for. Endless beaches plus wineries and breweries for days, not to mention chocolate so good you’ll forget you're trying to avoid it. 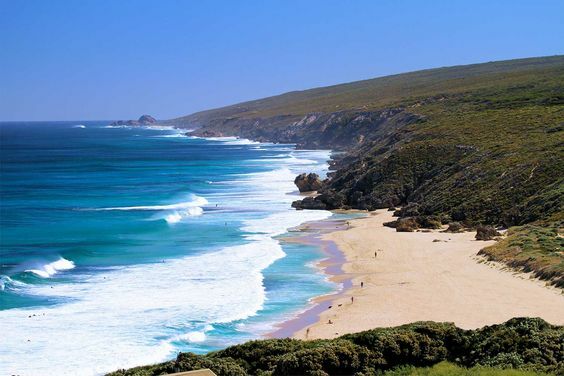 For the nature lovers among us, take a crack at the Cape to Cape trail walking from Cape Naturaliste to Cape Leeuwin or chill instead, down at Smith's beach near Yallingup. Delve into the darkness of the many caves near Margaret River along the winery\brewery studded Caves rd, have a picnic or even pitch a tent as you explore Boranup’s picturesque, ancient Karri forest just a few minutes further south past Margs. 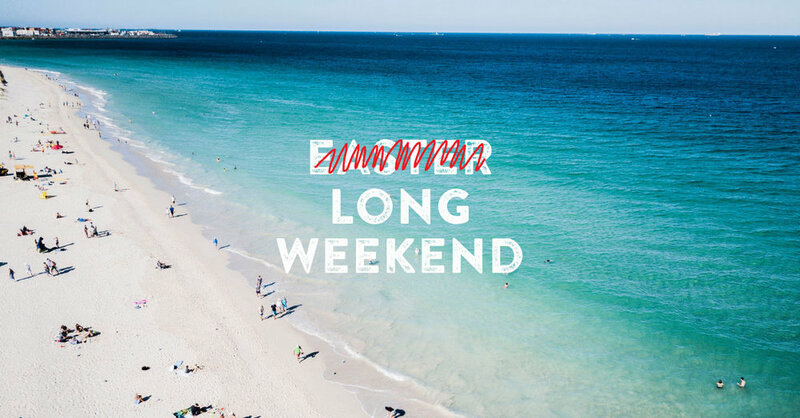 If you don't have the full weekend to get douth or willing to fork out a little extra to travel in style, consider organising a private plane charter to get you down south or anywhere else for that matter. Turn a 3 hour drive into a flight of less than an hour to maximise all those activities once you get down there. All those epic photo ops are reason enough to make Swan River Seaplanes your preferred method of transport from Perth to Margs. Once you’re on the ground, an all inclusive luxury wine tour (including lunch) is further reason to relax, especially when you're not driving! You’ll be back in the city in no time and still make it to dinner early. If you won a year of free booze? What would you choose?